MISSISSAUGA, ON – With music in your hearts, come and enjoy the start of Christmas with Windmill Theatre Productions Inc. in charming Port Credit! Windmill Theatre is set to dazzle musical audiences with its Holiday Extravaganza concert, Christmas With Holly Ivy and Joy. Shows will take place on December 11 and 12, 2015 at the First United Church located at 151 Lakeshore Rd W. in Port Credit. MISSISSAUGA – Since 1987 the Art Gallery of Mississauga (AGM) has hosted this annual exhibition celebrating collaboration with Visual Arts Mississauga (VAM) at Riverwood. VAM is a not-for-profit charitable organization with a mission to enrich community life by fostering an appreciation of the arts through active involvement in a variety of creative experiences. This annual collaboration with VAM is among the many ways by which the AGM activates its mandate to “bring art to the community and the community to art.” as well as the Gallery’s mission to Engage. Think. Inspire. The Mississauga Arts Council is thrilled to announce the MAC Artrepreneur program. The program was formally announced at the organization’s Cranberry Cocktail on Dec. 4. The goal of the MAC Artepreneur program is to educate artists on the tools and tactics they will need to turn their art into a successful business enterprise and life long career. This program will be integral to MAC’s 35th anniversary. Winter Tires: To use or not? Prepping for winter can mean closing down a summer cottage, turning the heat on in the house and taking cozy sweaters and quilts out of storage. But we should also be thinking about winterizing our vehicles. Why? Because one of the easiest ways to ensure safe winter driving is to install four winter tires on your vehicle. As residents and visitors travel down the busy intersection of Hurontario St. and Burnhamthorpe Rd. 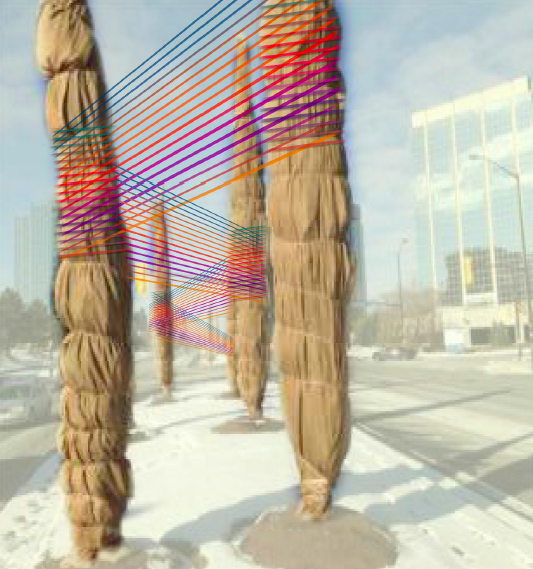 they will see a splash of colour in the downtown core.